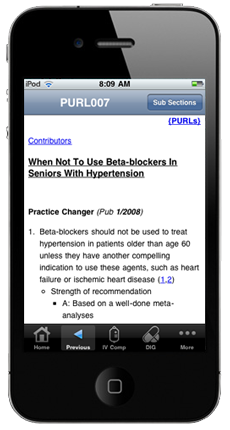 PEPID Gerontological Nursing Suite (RN Gero) is the ultimate point-of-care resource designed specifically for gerontological nurses. 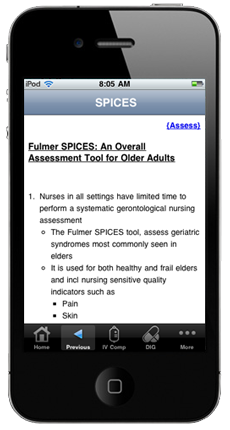 From falls to palliative care, RN Gero gives you instant access to Fulmer SPICES, gerontological assessments, orientation/memory/concentration and infection scores, and so much more. 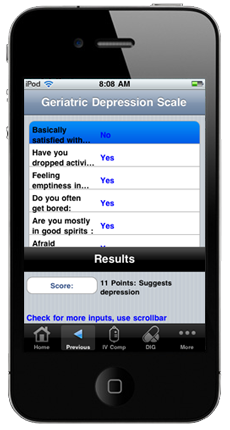 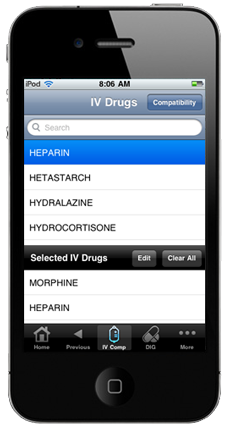 PEPID RN Gero also contains a drug database with Beers criteria, dosing calculators and a complete drug interactions checker. 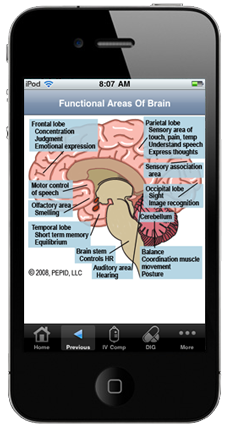 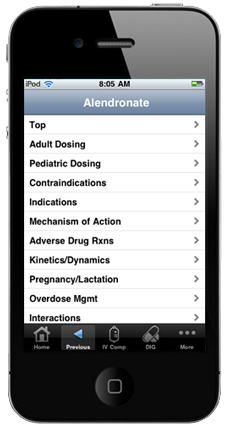 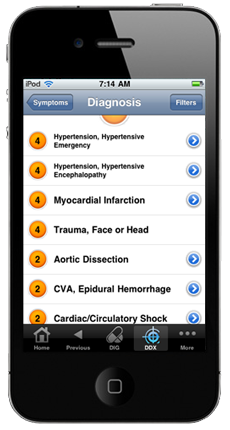 Easily identify patient medications with just a few details. 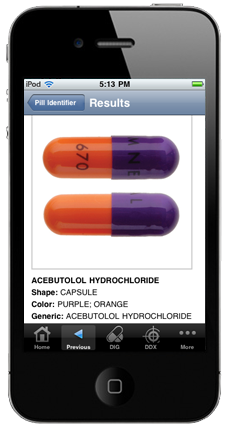 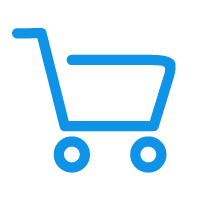 The pill identifier tool lets you search for pill information by score, shape and color - even with only a partial imprint. 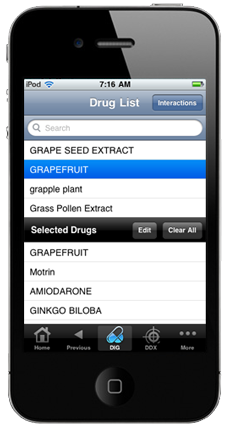 PEPID's drug-allergy checker allows healthcare professionals to cross reference a patient's food or drug allergies with their current list of medications and foods, and receive an alert if an allergy or sensitivity exists. 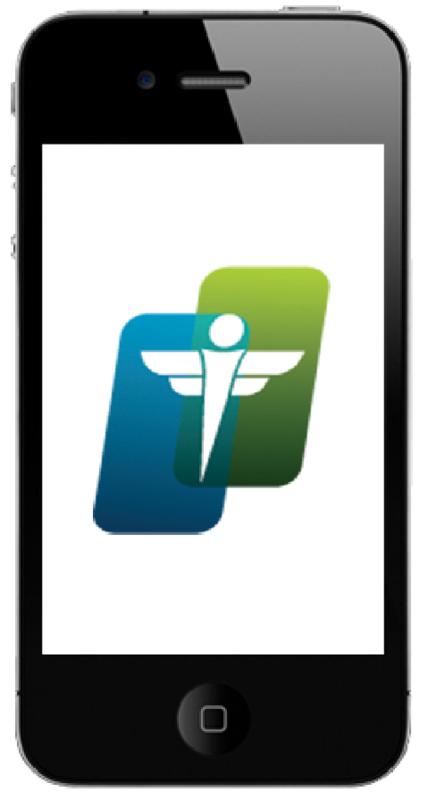 PEPID's drug-allergy checker identifies potential reactions based on the chemical make-up of a drug or nutrient, which detects sensitivities that may otherwise not be identified.